This beautifully presented two bedroom house in the popular village of Larkhall. Located close to local amenities, this unfurnished property would suit a professional single or couple. Set over three floors, the property comprises of a modern kitchen with appliances, separate dining room and study to the ground floor. The lower ground level has a WC/utility room, large double living room with original fireplace features leading to a private courtyard and the first floor has two double bedrooms and a modern shower room. The property benefits from two off road parking spaces and has brilliant access to the M4 and Bath City Centre. 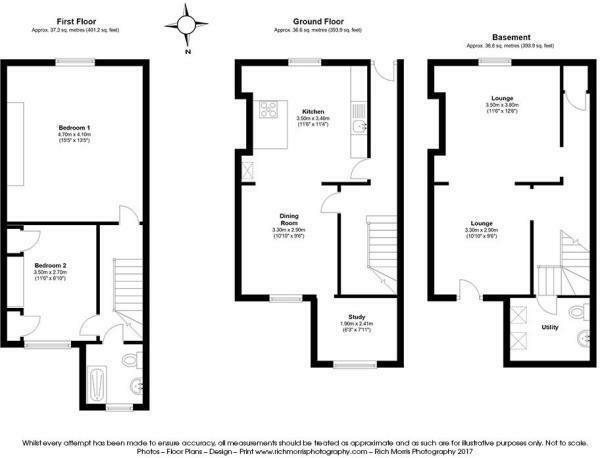 This property is marketed by Allen & Harris, Bath Lettings at £1,700 per month. Rightmove has calculated the price per week for comparison purposes only. Property reference P0677F5930. The information displayed about this property comprises a property advertisement. Rightmove.co.uk makes no warranty as to the accuracy or completeness of the advertisement or any linked or associated information, and Rightmove has no control over the content. This property advertisement does not constitute property particulars. The information is provided and maintained by Allen & Harris, Bath Lettings.